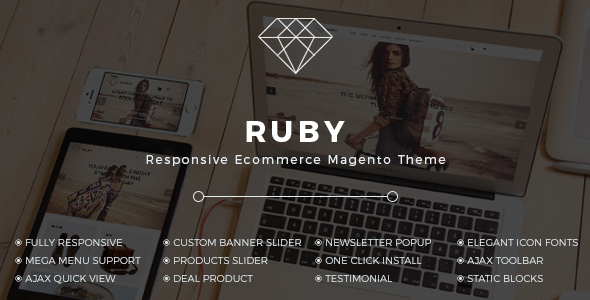 Responisve Ruby Magento Theme is a smart way to impress your customers, let them stay long and even turn back to your shop many later time. What’s more, this responsive magento theme is an extremely charming, highlighted with modern, smart and elegant design and stunning visual effects so give customers a great feeling of a professional fashion brand. Last but not least. It can help any web master who have not much knowledge and technique a lot. As words cannot transfer exactly how awesome this responsive magento theme is, so check our demo and have your own experience.